This is part one of a three part series following Ashby’s story. A pregnant widow: two words I never thought I would use to describe myself, especially considering I never wanted to get married or have children. However, I’m grateful to say God had very different plans for me. I met my husband, Spencer, at a fundraiser where an organization we were both a part of called CREW was raising money for my mission trip to Africa. In his mind, he had pictured me as a 26-year-old black man and was surprised to see that I was a 5 foot tall blonde, young woman. He said he fell in love immediately, but much to his amusement, I completely ignored him—something his handsome and funny self was not used to! He tricked me into our first date a few months later by telling me a bunch of people were meeting for a hot yoga class. When I showed up, it was only him. We were married 11 months later and instead of a wedding, we eloped and took our honeymoon back to the orphanage in Africa I had traveled to originally since that was what the Lord used to bring us together in the first place. Shortly after, we moved out to the rural and impoverished town of Immokalee, Florida in the 1972 Airstream trailer he had bought to propose to me in. We worked with migrant farmworkers for a ministry called The Amigos Center where he taught English and ran the clothing and food bank and where I did presentations, grant writing, and fundraising for the organization. We found out we were pregnant about a year into our marriage and were overjoyed. Five months into my pregnancy, his entire family flew down from Minnesota to celebrate Mother’s Day with us. We had the most amazing weekend showing them what we were up to and hanging out with them at their resort. The night before everyone was supposed to leave, we made a last minute decision to stay with them at the resort because we had a doctor’s appointment the next morning. We were supposed to find out the gender of our baby at a hospital close by. We found out we were pregnant about a year into our marriage and were overjoyed. That night we went to bed, snuggled, and whispered “I love you,” but he soon woke up coughing. He said he thought he needed a doctor and laid down on the floor. I ran and got his parents in one room and his sister and brother-in-law in the other. His sister (a nurse) gave him CPR while I frantically called 911. When they rushed into the hotel room, his mom and I knelt together praying with everything we had. After several attempts at resuscitation, the EMT told me there was nothing they could do. In wide-eyed terror and disbelief, I screamed at them to try again. What they were saying to me seemed completely surreal and the piercing pain I felt threatened to kill me on the spot. I genuinely thought my heart would explode as the thought of living without him for even five more minutes seemed excruciating. I couldn’t breathe and as they carried my sobbing, hysterical body into the next room, my mind spun with what I could only hope was a nightmare that I was going to wake up from. This couldn’t be true! I was pregnant with our baby! We were one flesh! How was I supposed to live without him? From even that first hour after his death, I saw God was with me despite my questioning Him as to why this would happen. Just being in a hotel with his parents was evidence that although I didn’t understand, I knew I was being watched over and protected. If I had been alone in our airstream with Spencer, I would have had zero cell phone service and would have had no medical assistance. As it was, our last minute decision to stay in town that night resulted in an ambulance showing up within minutes, my in-laws praying and crying by my side and future protection from me wondering if I had just had the proper medical help, maybe he would have lived. Just hours after his death—in a new room—everyone begged me to try and rest. As I lay on the hotel bed, in a rare moment of clarity, it occurred to me how much worse this would have been if I had been alone. With tears streaming down my face and my heart and head aching from the loss, I felt my baby kick for the very first time. I looked down in surprise and wonder and noticed the bracelet of Spencer’s I had put on my arm when I was grabbing his things from the nightstand. He had ordered these bracelets for our youth group, but I had never read what they said. Right above my kicking baby were the words “He Lives!” with crosses on either side. With tears streaming down my face and my heart and head aching from the loss, I felt my baby kick for the very first time. The hardest journey of my life began that day. My beautiful, vivacious husband died suddenly of an enlarged heart with absolutely no symptoms. 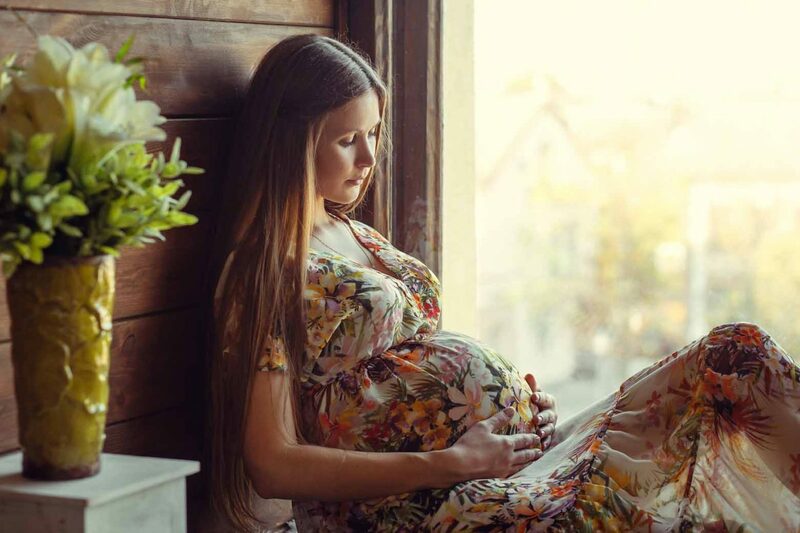 I wanted to die too, and prayed God wouldn’t leave me here without him … but His comfort and the gift of my pregnancy helped me move forward despite everything in me wanting to give up. I don’t know why Spencer died or why half the things that happen come to pass. But what I do know is when you hold onto Jesus, I mean really hold on, lean in, and depend on Him to carry you, you will end up in the greatest love affair of your life. The One who loved us first so that we are even capable of loving at all (1 John 4:19) will teach you about Himself while you cry on His shoulder. He will whisper words of comfort to you and somehow get you through your day with a strength you know wasn’t yours. He will tell you He loves you and will never leave you nor forsake you (Deuteronomy 31:6; Hebrews 13:5) and then guess what? He really doesn’t! He stays! He carries you! He is there for you in the height of the day and in the depth of the night when everyone else is sleeping. And when you come out of that season, you will enjoy Him and other blessings as never before. You will see more quickly and clearly what is important and what isn’t. You will feel things deeper. You will cry harder and laugh louder. You will feel other people’s pain with them and be the happiest of anyone for them when life is going well. We need not be afraid of pain, for often it leads to dependence. We need not be resistant to dependence, for that is where the true gifts of freedom and peace are found. We need not doubt our God, for He is worthy of our absolute trust. He loves you. In times of great sorrow He is collecting our tears (Psalm 56:8) and in times of great rejoicing is smiling and laughing ear to ear to see the happiness of His child (Zephaniah 3:17) enjoying a gift He chose just for them. I still ache for Spencer, but the comfort Jesus gave me from moment one that Spencer was in His arms is the comfort that continues to sustain me to this day.